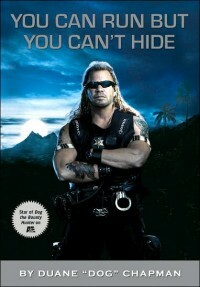 If you’re out on Staten Island tonight (Pat), you can “catch” reality star and bounty hunter Duane “Dog” Chapman for a book signing and lecture at 7:00 PM at Barnes and Noble Staten Island. According to his website, he’s also doing a signing tomorrow night at Oxonian Society Cornell Club in Manhattan, but I can’t find out any further details on that one. Actually, I’ll be in your hood tonight as I’m heading over to Union Hall!